BVoIP works with MSP's around the globe to incorporate cloud communications into the "Big Picture". This program is built for MSP, IT, and Cloud Service Providers. Cloud communications platform provider, BVoIP, today announced certification of the Datto Networking solutions stack including the Datto Networking Appliance (DNA), Datto Standard & PoE Switches, and Datto Access Points as approved devices. Datto’s suite of networking solutions simplifies deployment of business grade devices with high density and increased throughput utilizing meshed access point technology. This allows wifi enabled VoIP devices to be viable at scale in order to build a cost savings around additional network cabling. 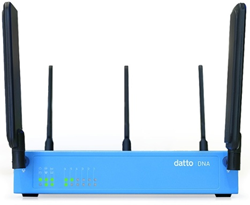 The DNA is a Router/UTM solution designed for Managed Service Providers (MSP) by industry leading channel vendor Datto. In conjunction with a rigorous certification process; BVoIP’s award winning platform has been optimized to ensure performance across DNA appliances. Active calls made or received while on 4G failover will complete without interruption even after primary ISP connection is restored. Zero Touch Provisioning, remote firmware updates, and remote device control leveraging DNA appliances and the BVoIP Unified Management and Provisioning Platform. BVoIP (http://www.bvoip.com) helps IT and Managed Service Providers deploy voice and unified communications worldwide. The BVoIP platform is designed to not only automate how MSP’s interact with their existing systems and tools but to also assist MSP’s with an offering to standardize their Unified Communications offering to their customers. BVoIP is currently available in North America, Europe, and the Australian / New Zealand Regions. For more information please visit http://www.bvoip.com or on Facebook, Twitter, and Google+.